Pancreatic cancer has both genetic and epigenetic underlying causes. The importance of epigenetic alterations in the formation and maintenance of malignant tumors has become apparent in the last decade, with accumulating evidence suggesting this is probably the most common clonal aberration in human neoplasia. Identifying epigenetic alterations in pancreatic cancer has not only enhanced our understanding of pancreatic cancer biology, but has also opened up avenues for the development of early detection and novel therapeutic strategies. 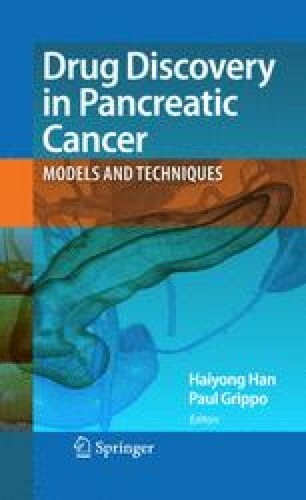 In this chapter, an overview of the current literature on epigenetic alterations found in pancreatic cancer is presented and discussed in the light of potential therapeutic applicability as well as pointing out possible future directions of studies combining global genetic and epigenetic analyses.